“Is this it?” I thought as I walked out of Captain America: The Winter Soldier this past week. 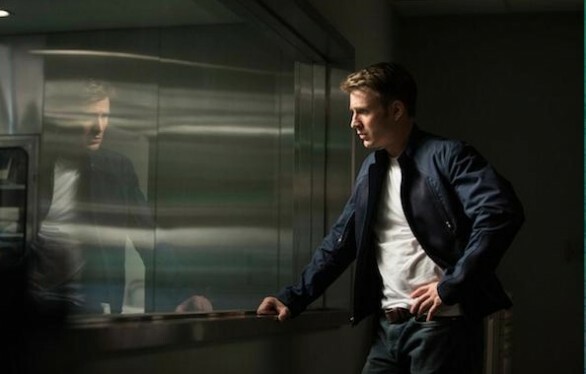 “Is this the point where Chris Evans finally goes from being a well-known actor and becomes a big star?” Because the truth is that a great deal of what makes this Captain America sequel work is Evans' winning turn in the lead role. He has banished all the skepticism I felt when Marvel first announced his casting several films ago. He brings charisma and the ability to evoke the values and moral certitude to the character of Captain America, which makes him a unique hero in a cynical and jaded world (both the world of this film, and ours). I’ll say it: he’s my favourite member of the Marvel Cinematic Universe crew thus far. But will this make Evans a big star? I’m going to say I doubt it. Despite a new April record-breaking opening weekend, The Winter Soldier, like the rest of the MCU Phase II films (Iron Man 3, Thor: The Dark World), subordinates anything unique and interesting to the needs of the larger series. Kevin Feige is officially the world’s biggest show runner. These films draw their huge box office potential and status as “must see” filmmaking from their place in the larger Marvel puzzle. So, both The Winter Soldier and The Dark World got their big box office bumps, not necessarily from the star power of Chrises, Hemsworth and Evans, but from the fact that the Marvel films are now must-see TV. I mean, must-see film events. Okay, perhaps I’m not being entirely fair, because I really liked The Winter Soldier. Joe and Anthony Russo do a fine job with their sequel to Joe Johnston’s 2011 film, Captain America: The First Avenger. I’ve criticised the Marvel films in the past for the way that their “house style” eschews any noteworthy stylistic tendencies and aims for a classical Hollywood “invisible” style, not drawing attention away from the characters and plots. But in this case it serves the interests of the film, as it did with the first Captain America film. At its heart, in the same way The First Avenger was ostensibly a war film, The Winter Soldier has designs on being a 70s-style paranoid thriller, in the vein of The Parallax View or 3 Days of the Condor. In attempting a classic Hollywood genre, the straight forward storytelling works. And in case you don’t pick up on the allusions, they’ve brought in Hollywood legend and 3 Days of the Condor and All the President’s Men star Robert Redford himself to play a high ranking S.H.I.E.L.D. official, Alexander Pierce. The plot of the film involves Captain America uncovering a plot buried within the organization itself. Cap, still struggling to find his place in a new century, finds himself targeted by his own people, with only a few old and new allies to help him. The political thriller comparisons never quite deserve placing the film in the same company as the aforementioned films, as this film lacks the claustrophobic atmosphere, true paranoia, and dense plotting of those classic 70s films. Puzzles are resolved almost as soon as they are raised. If you can’t figure out who the string-pulling villain is from the character’s first scene, I don’t know what to say to you. But the plot still works amazingly well, letting Evans’ take on Captain America shine and highlighting so many of the elements about the character I’ve always loved, such as his willingness to sacrifice for his ideals. This Captain America is willing to stand up to S.H.I.E.L.D. and the U.S. government, and not afraid to say that they’ve betrayed the ideals he stands for. It makes explicit the fear that America can and has abused their power, and even has Cap question whether he has a place in this new world order. The supposedly biggest twist in the film is the identity of the sub-titular character, The Winter Soldier. In case you haven’t followed the comics, I’ll keep his identity a secret. The character’s presence gestures toward an alternate history where the government employs powered agents to enforce the status quo, and superheroes are tools rather than a way for ordinary people to enact justice (as is the fantasy that the superhero embodies). It’s a rather dark twist on the whole Marvel Universe, and it doesn’t leave the universe unscathed. Even if the final battle is confined to Washington, D.C. and the fate of the entire universe is not at stake as in the last Thor film, the ramifications for future Marvel films seems to be much more significant. Ironically, less is more in this case. The film also works as a solid action film. We get plenty of opportunity, particularly in an early sequence in which Cap and Black Widow (Scarlett Johansson) lead the taking of a hijacked ship. Framing this sequence in long shot allows us a clear view of the character's attack route, as well as avoiding the flurry of close up, fast cutting action sequences that obscure a clear sense of space. Later in the film, even Samuel L. Jackson’s Nick Fury gets to participate in a car chase, one of the most refreshingly old-school action sequences in any of the Marvel films. It eschews much of the "intensified continuity" that plagues many Hollywood products today. The film’s charms are more than enough for me to rank it among the best of the Marvel films thus far, avoiding the overstuffed and under-choreographed ending of The Avengers. It feels fairly stripped down compared to most superhero films these days, which is crazy when you consider the ending of the film involves fights on three different helicarriers over the Potomac. Still, the film’s best moments are the small moments when Captain America himself is allowed to shine. His interactions with Black Widow and a new friend, Sam Wilson (Anthony Mackie), who gets recruited as a heroic ally with some tricks of his own, are great. Chris Evans brings some of his best work to the role; he really does feel like a hero out of time, negotiating what being American means in the intervening years since WWII and questioning what he fought for. What's really impressive about The Winter Soldier is how it manages to bring this glimmer of serious reflection to the superhero series, without getting bogged down in the need to be overly "gritty" or "dark." Captain America remains the moral and heroic heart of the Marvel Universe, as he should be. Directed by Joe and Anthony Russo; written by Christopher Markus & Stephen McFeely based on a story by Ed Brubaker and characters created by Joe Simon and Jack Kirby; starring Chris Evans, Scarlett Johansson, Samuel L. Jackson, Robert Redford, Anthony Mackie, Colbie Smulders.